Katie & Cory’s romantic Greenacres wedding was a dream of floral delights. Peonies, hydrangea, and roses in blush, magenta, white and peach filled large focal vessels and climbed along the draped wedding ceremony arch in front of the gate at the estate. The ballroom at Music Hall was transformed into the perfect winter wedding reception with rich amber lighting, flowing draping, and a gorgeous color palette of florals and greenery. We created several large focal arrangements for the entrance and to surround the guest dining area. 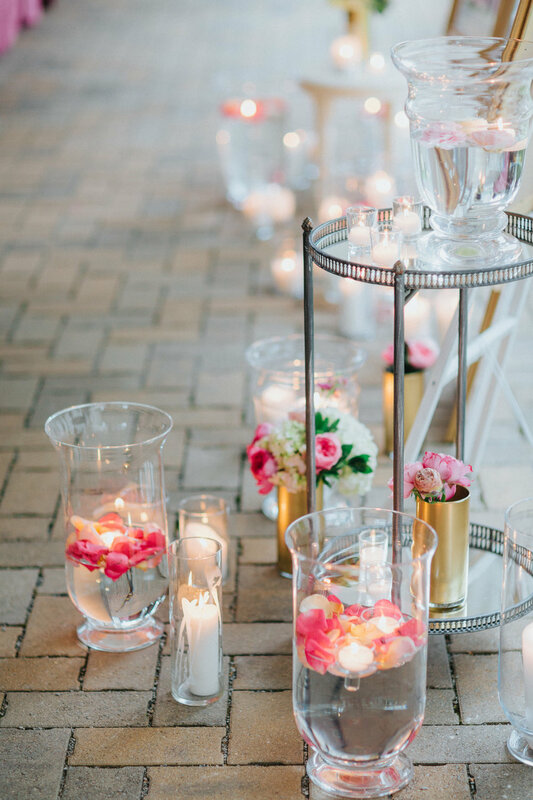 Tables were set with floral arrangements varying in size, from large gilt vessels to a handful of vintage metallic bud vases and bronze trays. 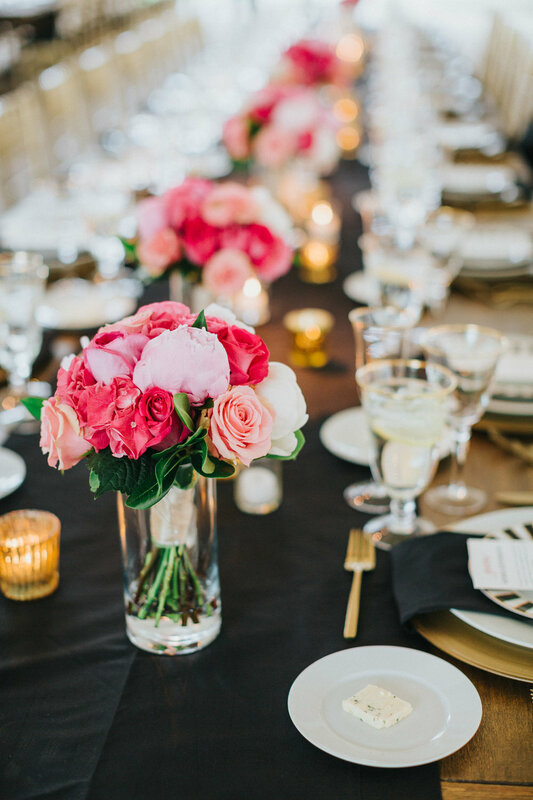 Rich raspberry, red, and magenta roses, green and rust hydrangea, and dahlias tucked into bundles of wax flower and silvery eucalyptus gave the room a lush garden atmosphere. 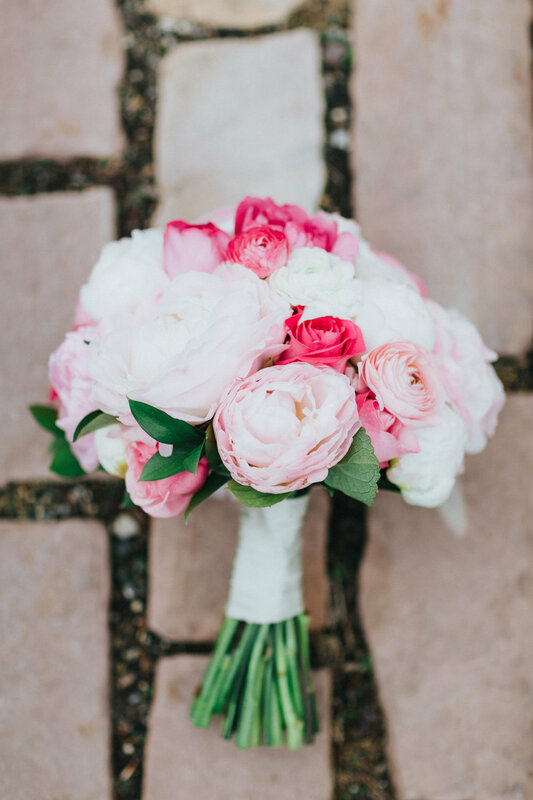 The bride described her spring wedding day perfectly as "warm, bright and energetic". 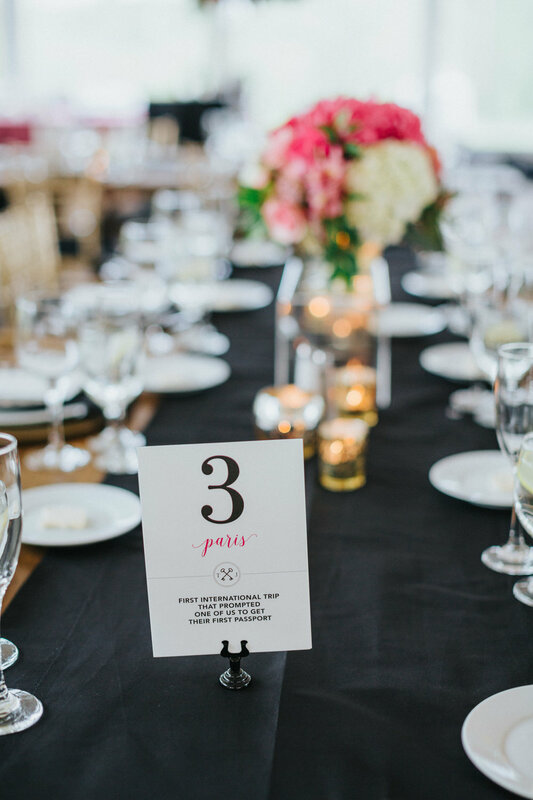 Thick black and white vertical stripes peppered the reception area with pops of magenta and blush. The open tented reception decor at Greenacres Art Center was an elegant nod to the bride's Dominican heritage which included a mesa de postres - a dessert table with marzipan, dulce de leche and a jaw dropping wedding cake by Sugar Realm. Vibrant florals stood out among the graphic black and white stripes of the lounge area and tableware. Gold accents added elegance and a touch of shimmer. Sheer white drapes caught the breeze and were loosely tied back with floral sprays. 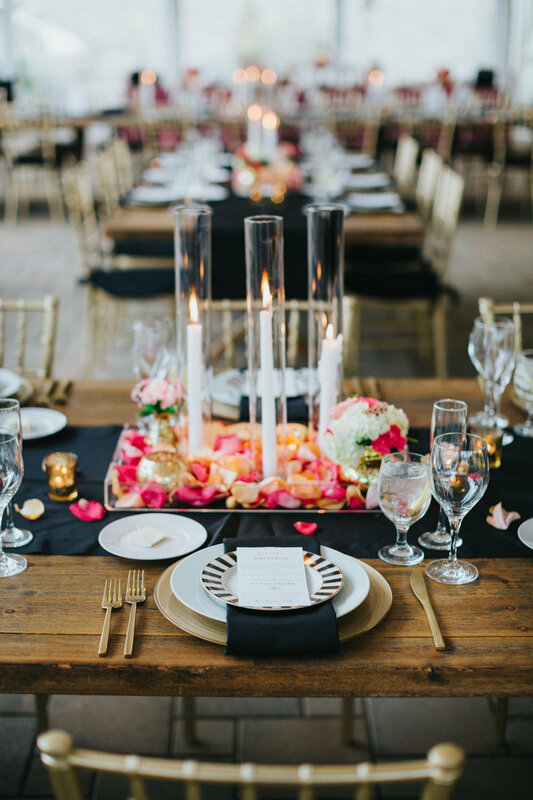 Greenacres Art Center does not allow candles with open flames so we incorporated white tapered candles in tall glass holders which not only followed code but were a unique way to dress the tables and add to the romantic, lively atmosphere. Incredible photographs by Todd Pellowe Photography. We loved working with Sonya and Shahryar on their 2013 wedding at the Hilton Cincinnati Netherland Plaza. Traditional Indian elements such as mangalsutrabandhanam (ceremonial necklace symbolizing connection) and the elegant Mandap under which the ceremony took place came together spectacularly. 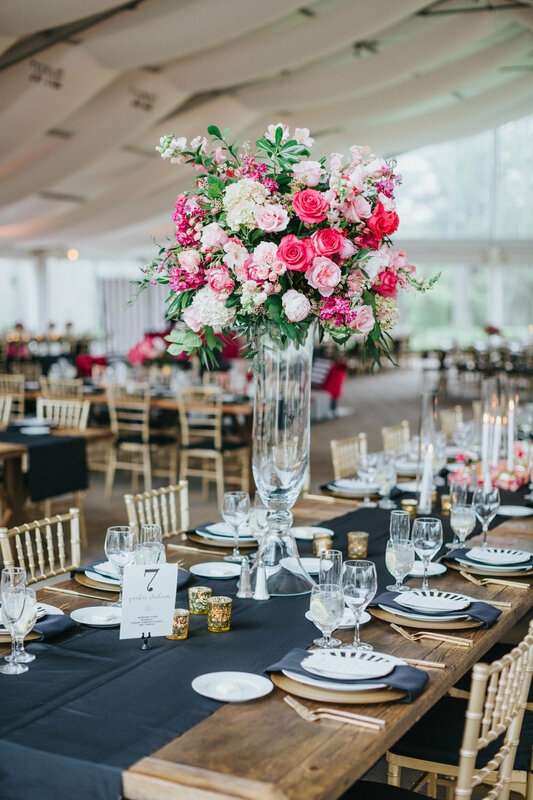 The space was completely transformed with magenta and red flowers, silver vessels, gold chiavari chairs, perfect lighting and draping. Reception tables were covered in gold, a color that represents prosperity, and set with bright arrangements in pale lavender and red roses, orchids and hydrangea. Photos by Steve Lyons Wedding Photography.